Small-space living requires versatile furniture. 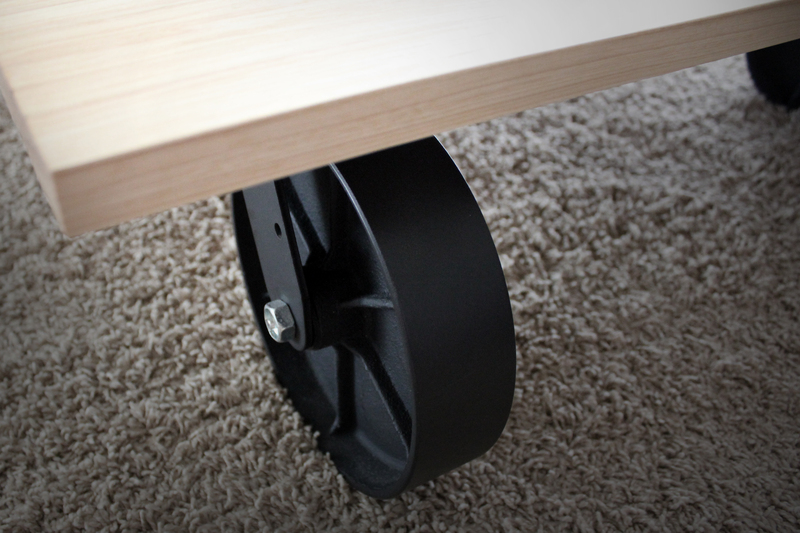 The large 8″ casters allow the table to roll smoothly along carpeted surfaces, which is helpful when the room is frequently rearranged to accommodate various activities happening within the same space — dinner, yoga, movie night, vacuuming, etc. The table’s short 10″ stature keeps the room from feeling cluttered. 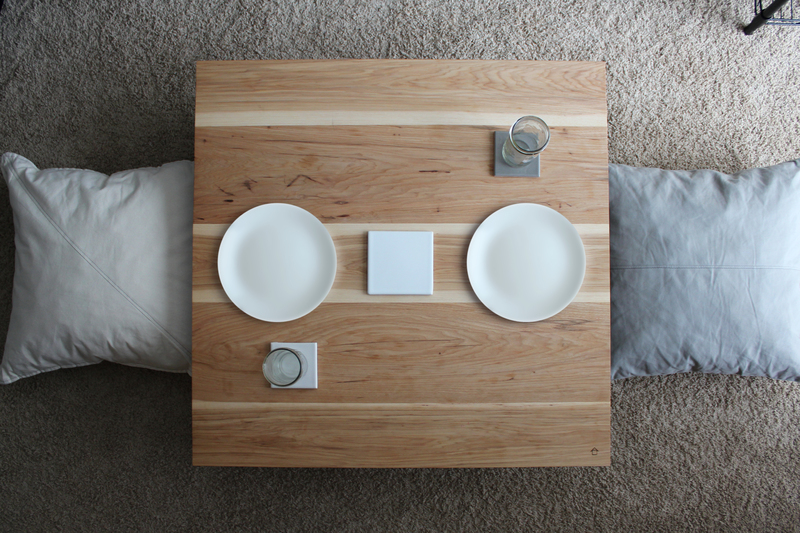 Paired with floor cushions, the table is a comfortable height for floor seating. If we’re entertaining, the 40×40″ surface will fit four. 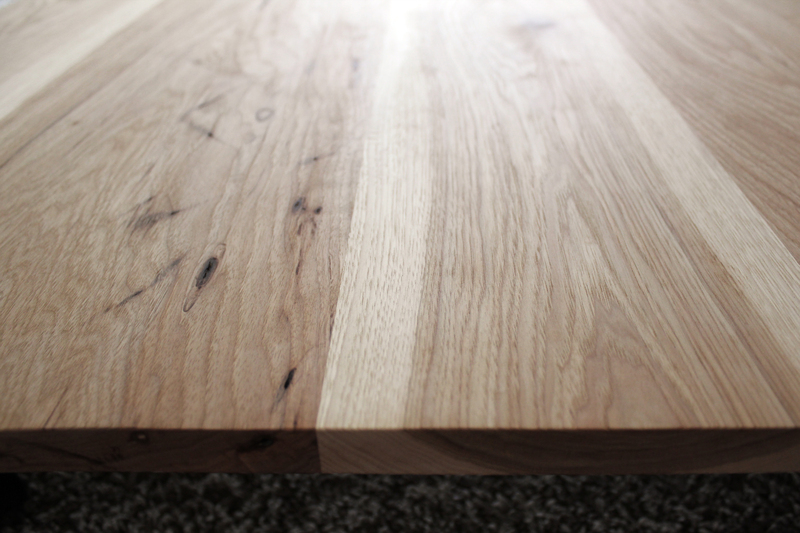 The tabletop is solid hickory, and the casters are painted steel.